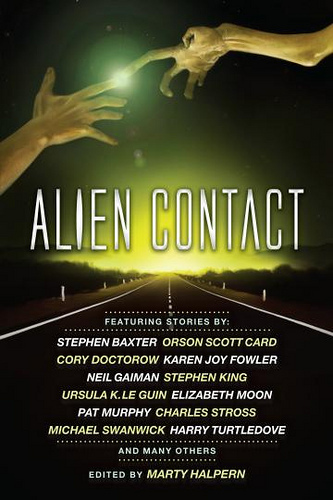 Out today, this anthology of stories about aliens, in which my little tale of an invasion of Boltzmann Brains appears along with stories by Stephen Baxter, Pat Cadigan, Karen Joy Fowler, Stephen King, Ursula Le Guin, Bruce Sterling, Michael Swanwick . . . You can find the table of contents here, with links to commentary, and some of the stories. Once upon a time, most stories about aliens were space wars or first contact adventures set in the far future, or attempts to imagine the truly alien in truly alien settings. Most of the stories here are set in the present day, refracting human behaviour through the viewpoint of the Other, or using the Other to isolate and magnify some odd aspect of human behaviour. We have met the alien, and he is us. 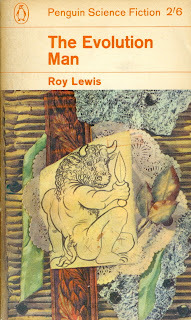 At first glance, the 1963 Penguin edition of Roy Lewis’s first and best-known novel is science fiction. 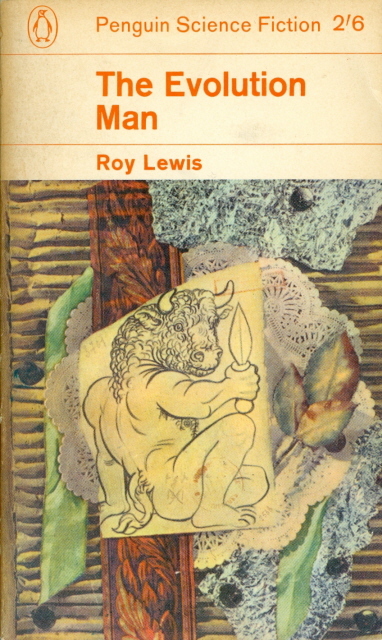 After all, it says so on the cover: it was selected by Brian Aldiss, who in the early 1960s was editor of Penguin’s SF series. But The Evolution Man was first published in hardback as a non-genre novel with the title What We Did To Father, and its last reprinted edition wasn't labeled as SF either. Permeable things, genre boundaries. Narrated by one of the sons of a Palaeolithic mad scientist, the eponymous evolution man, this short and wickedly funny novel compresses the story of the development of the technological and cultural inventions that shaped the evolution of Homo sapiens into the history of a couple of generations of a family in Palaeolithic Uganda. A good deal of the novel’s comedy springs from farcical scenes generated by compression (‘Good Gracious!’ [Father] gasped. ‘While I have been talking to you and not even thinking about it, I have made a most important invention: the heavy-duty hunting spear with the fire-hardened point!’) and the atemporal knowledge and speech patterns of the characters (‘The carnivora had turned on us because of a shortage of ungulate game in the region.’), but it’s also a pitch-perfect parody of the drawing-room novel transposed on to a vividly realised stone-age milieu. Like Monty Python’s Flying Circus and Douglas Adams’ Hitch Hikers Guide to the Galaxy, The Evolution Man belongs to the very English school of deadpan (and often deeply black) absurdist humour, and as in many great English comedies, the narrator, like Mr Pooter, William Brown, and Captain Mainwaring, has absolutely no sense of humour. The novel’s best set-pieces, such as the narrator’s thorough besting by his future wife during his ham-handed attempt at courtship, turn on the refusal or failure of the object of the joke to see the funny side. But progress isn’t without cost. Globe-hopping Uncle Ian is killed when he decides to imitate the efforts by one of his nephews to domesticate animals: ‘the horse he had tried to ride - to get to America the quicker - proved not to be a horse at all; it was a hipparion.’ Father’s enthusiastic application of his discovery of how to make fire causes a conflagration that burns out the horde’s hunting grounds and forces them to move. And his sons are dismayed when he starts to give away their technological edge to all and sundry, and decide that he and his latest idea must be suppressed. As in so many science fiction novels (to borrow a phrase from Brian Aldiss), hubris is clobbered by nemesis. Father becomes a victim of his most deadly invention: the Arms Race.